Is The Colour Of Your Cabinet Keeping You “UP” At Night? 29 Sep Is The Colour Of Your Cabinet Keeping You “UP” At Night? Have you ever noticed how different rooms in your house have different effects on you? Some rooms make you feel warm and cozy where others keep you alert and on guard? Colour is more often the reason to how you feel about these various rooms. The colour of a room can not only sway the way you think but change your actions and reactions. Colour has other effects on you that you might not even be aware of. Most hospitals at one time were painted a medium to light tone of green since green for most humans is very calming and relaxing. Red is a stimulant colour. 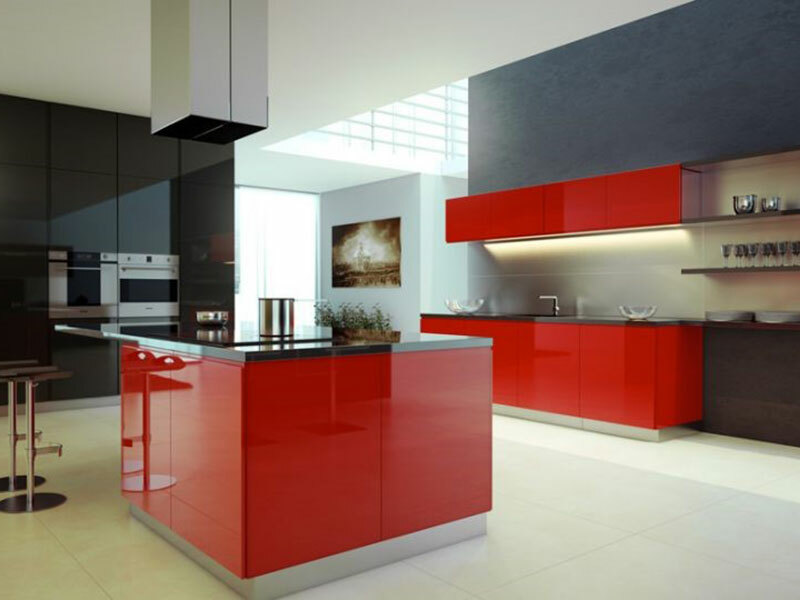 If you want some great reactions from the bedroom closets, cabinetry or even your kitchen, finish it in a shade of red (evil grin, nudge, nudge, wink, wink). Darker shades also have a calming reaction. Brown cabinetry most often will make you sleepy or have that nesting feeling. Currently, cocoa or nutmeg colours are very popular in living rooms for that reason. Relaxing and nesting. Who hasn’t seen a red advertisement and its very powerful reaction? Why do you think Coke has used red so much in their logos! Colour is a powerful and useful tool in our everyday life. So what colour makes you happy? What’s your favourite colour? Tell us what you think about colour in your everyday life!